For applications where a welded cleat or profile shape does not address design requirements. Megadyne’s False Teeth (FTS) may be the answer. FTS is available for AT10, H and AT20 pitch MEGALINEAR, MEGAFLEX and MEGAPOWER belts. 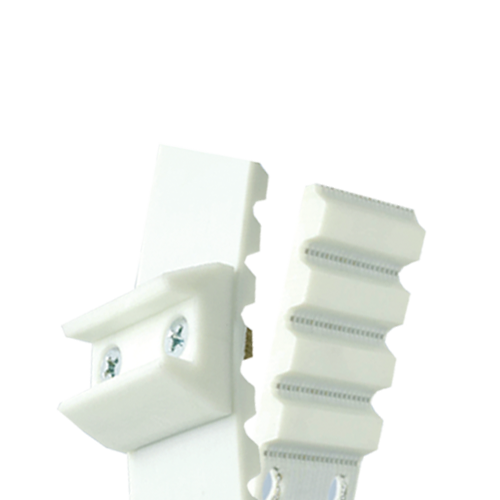 FTS is a unique design option for cleats and other profile shapes that need to be repositioned or replaced frequently, along with applications where a welded cleat cannot stand up to high loads. Are you interested in FALSE TEETH?